A) 1-2, 2-3, 3-4, 4-2, 2 through to running 4. Move to join cue on right. B) 1 to other group&apos;s 2, 2-1, 1-3, 3-2, 2 through to running 3. Move to next cone after pass. 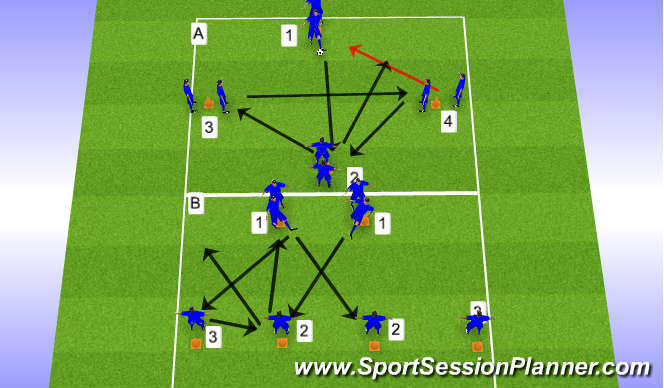 Attacking combinations on goal. Change routines. Focus on pace of passes. 6 vs 3 shooting combination. Coach passes in, 6 must complete 3 passes before shot. Focus on movement of ball and working dhooting opportunity. Ball is given out to full back who has 2 touches, one to set, one to cross. 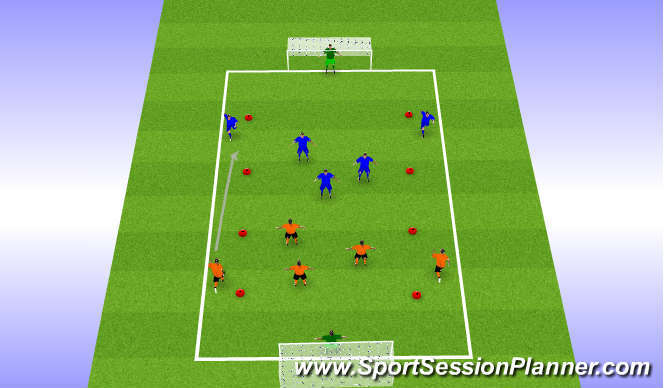 Opposition full back must remain passive to begin with, no-one else can enter wide zone. 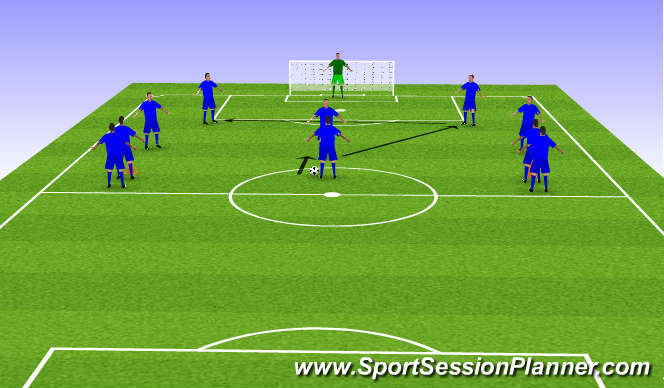 Focus on whip and pace of delivery, good touch to set, movement to attack ball and finishing.